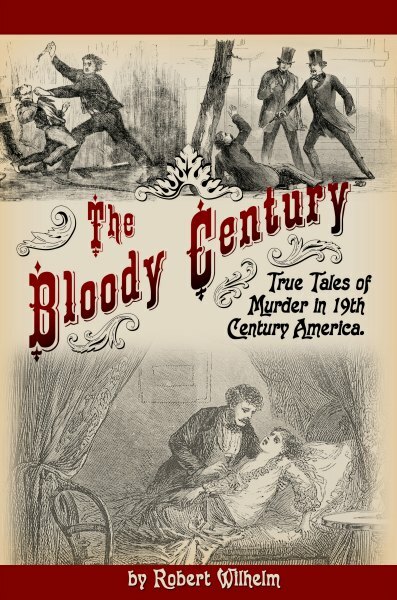 Robert Wilhelm is the author of The Bloody Century: True Tales of Murder in 19th Century America (Night Stick Press, 2014) and Murder and Mayhem in Essex County (History Press, 2011), a history of capital crimes in Essex County, Massachusetts from the 1600s to the turn of the twentieth century. He blogs about historical true crime at Murder by Gaslight (www.MurderByGaslight.com) and The National Night Stick (nightstick.azurewebsites.net). Robert lives and works in Boston, Massachusetts. A murderous atmosphere pervaded nineteenth century America unlike anything seen before or since. Lurid murder stories dominated newspaper headlines, and as if responding to the need for sensational copy, Americans everywhere began to see murder as a solution to their problems. The Bloody Century retells their stories; some still famous, some long buried, all endlessly fascinating. The Bloody Century is a collection of true stories of ordinary Americans, driven by desperation, greed, jealousy or an irrational bloodlust, to take the life of someone around them. The book includes facts, motives, circumstances and outcomes, narrating fifty of the most intriguing murder cases of nineteenth century America. Richly illustrated with scenes and portraits originally published at the time of the murders, and including songs and poems written to commemorate the crimes, The Bloody Century invokes a fitting atmosphere for Victorian homicide. The days of America’s distant past, the time of gaslights and horse drawn carriages, are often viewed as quaint and sentimental, but a closer look reveals passions, fears, and motives that are timeless and universal, and a population inured to violence, capable of monstrous acts. A visit to The Bloody Century may well give us insight into our own. The idea of a criminal record originated in the early seventeenth century when the magistrates of the Massachusetts Bay Colony began recording dates, places, victims and criminals. Despite, or perhaps because of, the strict code of the Puritans, some early settlers earned quite the rap sheet that landed them either in the stocks or at the end of a noose. 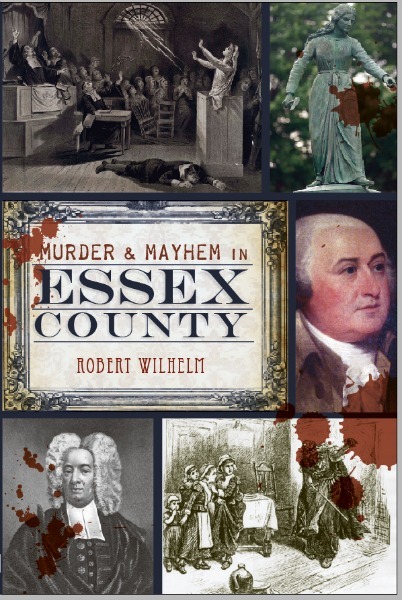 With biting wit and an eye for the macabre, local author Robert Wilhelm traces the first documented cases of murder and mayhem in Essex County, Massachusetts. Discover the story of Hannah Duston's revenge on her Abenaki Indian captors, why the witchcraft hysteria hung over Salem and Andover and how Rachel Wall made her living as a pirate. Decide for yourself whether the accused are guilty or if history lends itself to something else entirely.